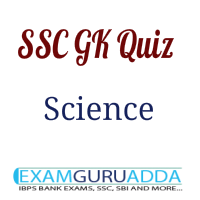 Dear SSC Aspirants, Practice science quiz for ssc exams. 3. First sink to the bottom and then come up. 4. Remain submerged at the same place. 5. Which of the following acid is used to remove rust spot? 7. What is the pH value of milk? 9. Which one of the following is known as the “Father of Taxonomy”?